21x7mm. 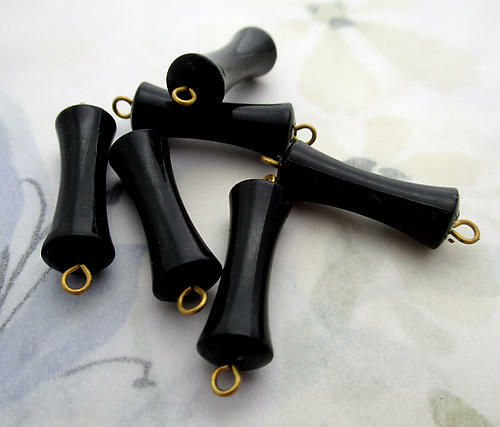 Vintage plastic black cinched connector bead charms on raw brass wire. New old stock. Jewelry supplies.